I started this blog almost a year ago, so I thought that it would be fun to end the year doing something fun with some of the bloggers who have meant a lot to me over the last year. All of these ladies are amazing at what they do and inspire me. What we did is we all made enough ornaments for all participating (nine in total). The ornaments had to be handmade and we are all posting our tutorials today. Then we send out the ornaments to one another so each get eight beautiful, handmade ornaments over the next few weeks. Fun right? 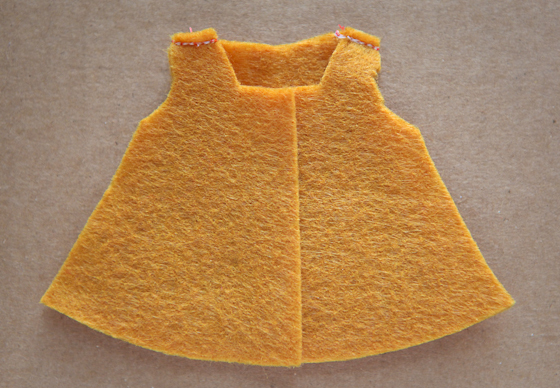 With right sides together sew shoulder seams. 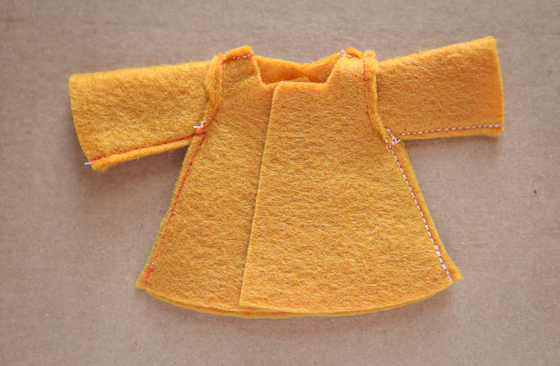 With right sides together sew the tops of the sleeve to the arm hole. With right sides together sew the sleeve and side seams up from wrist to hem. Turn right side out and iron flat with steam. 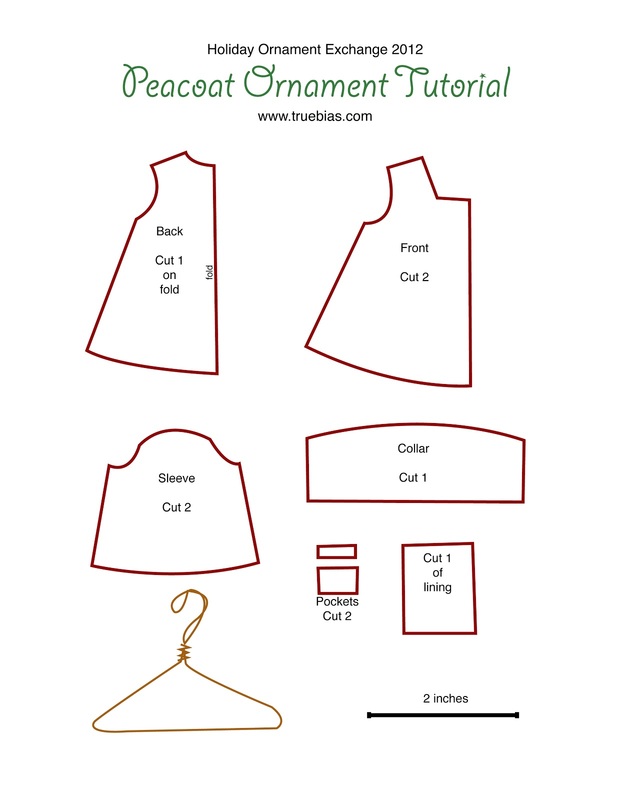 Take your lining fabric, fold down 1/4″ and press. 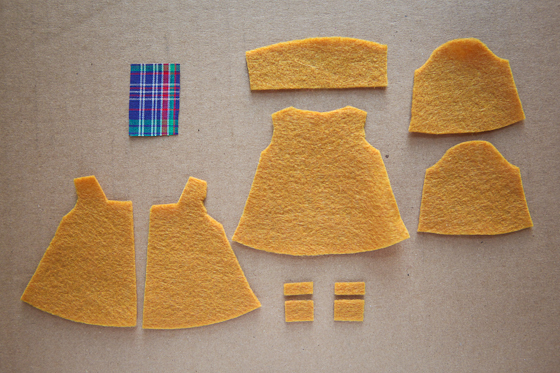 Open coat and glue into the inside so that it covers the neck seam. 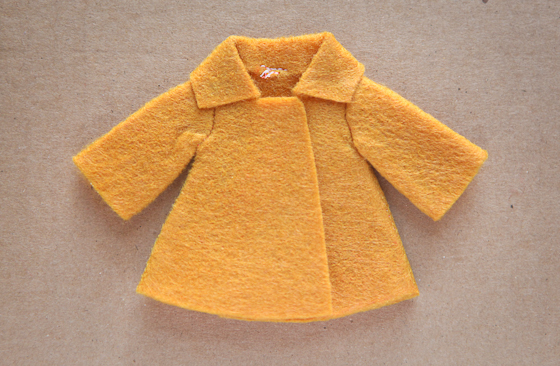 Using thread and needle, sew on “buttons” (seed beads) on pockets and six to breast of coat. 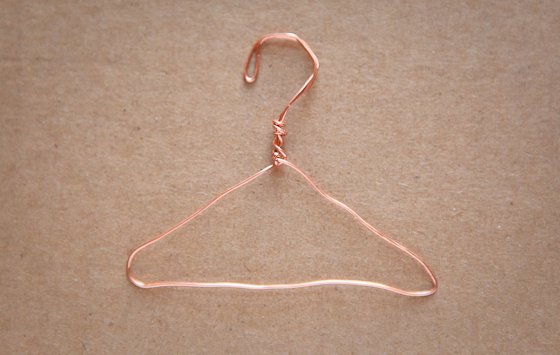 Using pliers, form copper wire into a small hanger using my guide provided (or just make it up as you go:) Insert into coat and glue coat shut. HOLY FREAKIN’ COW! These are too, too sweet! I absolutely love them! So pleased to have found you via Jen’s blog. What an absolutely sweet idea to have people share some ornament ideas. 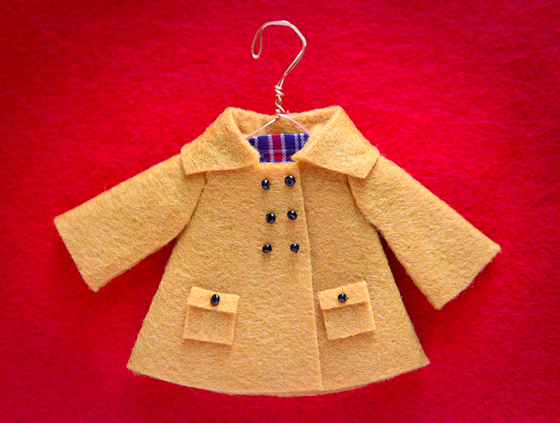 And your mini coat hanger alone is worth making. Kelli, that’s pretty much the cutest thing I’ve ever seen! ohmygod, that’s crazy cute! I love it!! your’s, by far, is the best! Holy crap! So very cute. the little plaid lining kills me! These are soooo cute!! I love them. Tooooooo cute! And so sweetly and perfectly made! Man, I’d have a whole little section of wall dedicated to these all year round… Love them! Kelli I’m dying – this is so adorable!!! 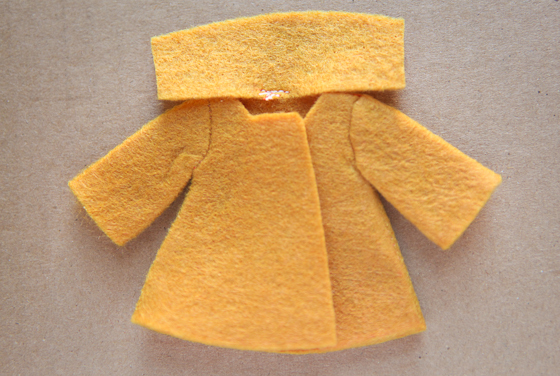 Oh my gosh, these little pea coats are so cool! I’m going to make one. Love it! hahaha this is awesome. 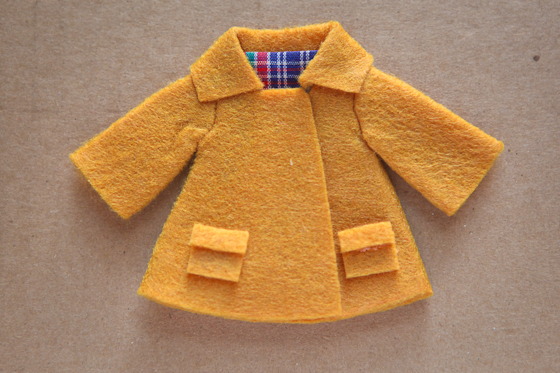 What a cute little coat, thanks for sharing the pattern too! oh my word. 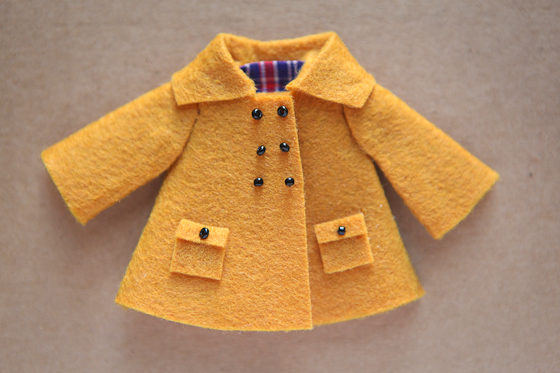 you made tiny peacoats?! could that be any cuter!!! can’t wait to get mine!! Thanks for organizing such a fun exchange Kelli!! 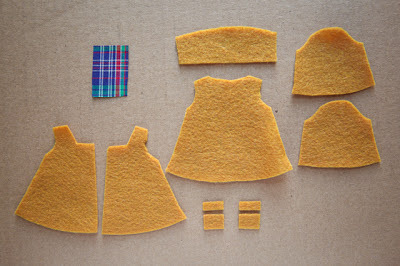 Oh my goodness, I saw the little pieces and thought, “ooh, just like a real sewing pattern in miniature” and then you proceeded to actually sew (and line!) it. Very, very cute, and brings a smile to my face. 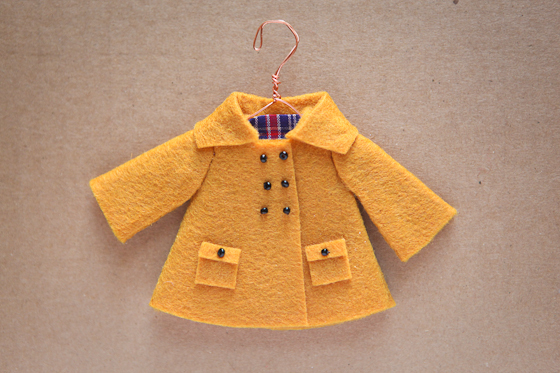 This is literally BEYOND cute, I can’t believe you made a tiny peacoat!!!! 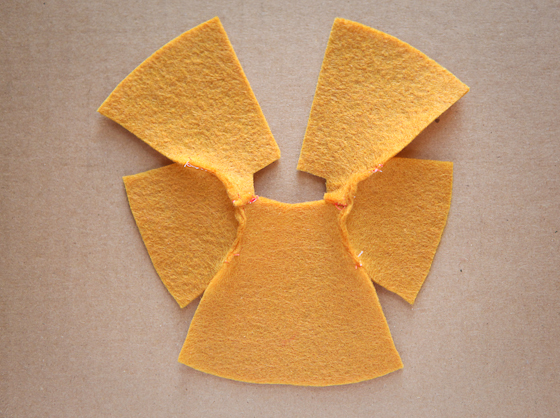 I actually have one almost identical to the mustard one too, haha! I can’t wait to hang this on my tree, and then after christmas hang it in my studio. 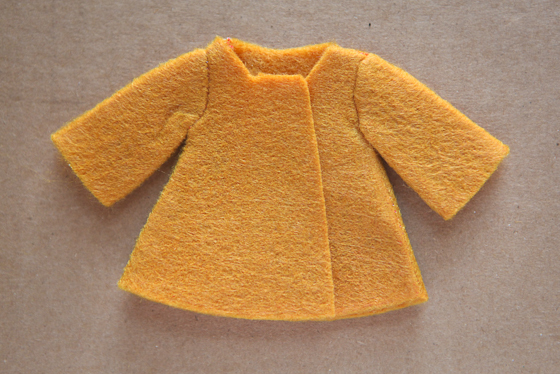 You sewed in tiny sleeves! DUDE!!!!! Yes! LOVE IT!! 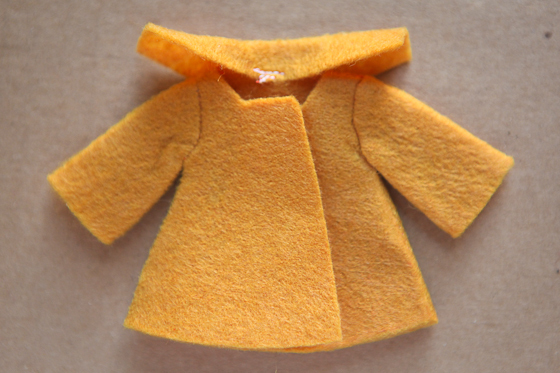 Now all the little animals will have little coats to keep them warm! WHHHHAAT?!?! I LOVE these! LOVE love love! 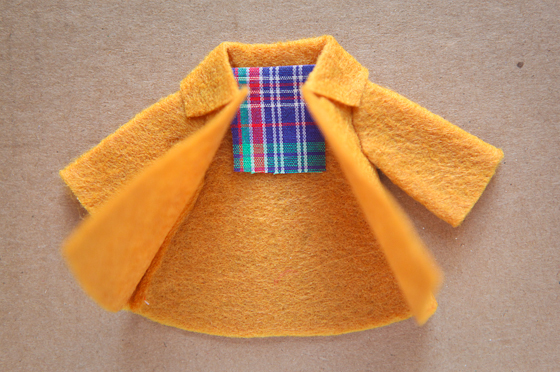 I definitely am going to make me some wee little coats, this is genius. I have a tradition of making some handmade ornaments every year, and this is perfect! aww, i love this! and i think i already know a friend that I want to make this for. If your ornament goes missing just know that you have made one stylish elf very happy. Love them. Oh my gosh! Your ornament is so adorable! Amazing! I just love this idea! So cute. In place of holiday gifts for each other this year, my family is donating new coats to kids in need…but I still wanted to make a little gift to wrap and give to everyone. I’m making these as mementos! Love this idea and thank you for sharing it with the world. OMG I just found this today. Too stinkin cute. Making it now! I made 2 of this coats with your patterns , I embroidered the front with branches, flowers , leaves and a tiny birds, they are so precious!